Several Milwaukee restaurants offer small plate-exclusive menus, while others offer many small plate options. Though portion sizes continue to balloon at many restaurants around the country, many Milwaukee establishments are joining a national trend in favor of smaller servings. Dining critic Ann Christenson says local chefs are driving the trend here by featuring small portions of unique dishes. "It is only a very miniscule amount of something and yet it's usually something with a lot of flavor a lot of texture, a lot of spark, color, everything," Christenson says. "And I think it pretty much thumbs its nose at Milwaukee's reputation for strapping on the feedbag." Christenson featured 20 local restaurants going the small plates way in her cover story in December's issue of Milwaukee Magazine. Some like La Merenda serve exclusively small plates; others like Odd Duck and the new restaurant AP have a large selection. Some diners might not want to give up their large portions, but Christenson says there are four good reasons why more Milwaukee eaters should hop on the small plates bandwagon. Christenson says many chefs dine this way themselves, as a way to try new flavors, textures and foods. The trend is growing in the restaurant industry, with more menus featuring a majority or exclusively small plate offerings. Others go the way of Mason Street Grill, where the bar/lounge offers a small plate menu. Small plates mean if you can't decide between two dishes, you can just order both. Portions are small enough that you can order a few and share with others at your table. But Christenson warns that the small plate menus at many restaurants are huge, which could be worse for an indecisive eater. 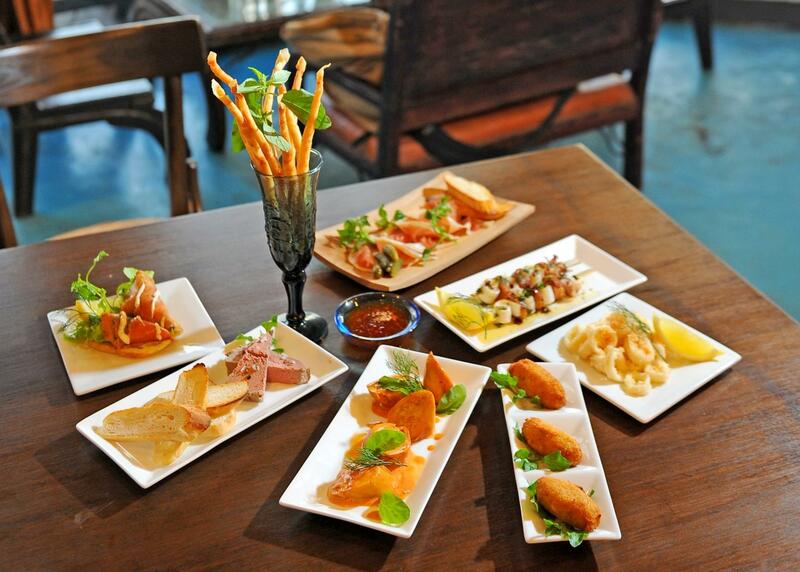 Small plates give you an excellent opportunity to try something new. Bring on the pig ears offered at Rumpus Room's bar, or try fried sweetbreads or the duck testes seen on Hinterland's menu. "If you order something you've never had before you're not committing to a $25 entree, you're committing to an $8 plate," Christenson says. Christenson says small plates often reflect what's popular in dining at the moment. Kale was trendy this past summer, while meatballs and quail eggs also had their 15 minutes. But Christenson found the most common small plate was pork belly. Ann Christenson is dining critic and senior editor at Milwaukee Magazine, and writes the Dish on Dining column for the magazine’s website. She’s also Lake Effect's regular dining contributor. Quickly – what’s 17 percent of $55.50? Or maybe 20 percent?